A new study on the relationship between insomnia and depression has useful implications for mental health practitioners. The study, published in British journal The Lancet, is the first to generate evidence suggesting that insomnia is a cause of, or contributing factor to, psychological problems. “A good night’s sleep really can make a difference to people’s psychological health. Helping people get better sleep could be an important first step in tackling many psychological and emotional problems,” says Professor Daniel Freeman, who led the study. According to Christopher Barnes, an associate professor at the University of Washington who focuses on fatigue in organizations, lack of sleep affects the part of the brain that’s used for managing emotions. “There are two regions of the brain which are especially important in emotion regulation – the amygdala and the prefrontal cortex. Sleep deprivation leads to decrements in the pre-frontal cortex, and also negatively influences the manner in which the prefrontal cortex and the amygdala work together,” Barnes says. Due to their fatigue, people struggle to regulate their emotions, and further negative feelings often come up as a result, leading the cycle to continue. “[S]leep deprivation can not only lead to the experience of more negative emotions, but also greater variability in mood, and more emotional reactivity,” Barnes clarifies. That’s why insomnia so often coexists with mood swings, grumpiness and erratic behavior. In his book Why We Sleep, Matthew Walker, professor of neuroscience and neurology at UC Berkeley, explains the relationship between sleep and emotional regulation in even greater detail. According to Walker, tests using MRI brain scans showed that the amygdala was around 60 per cent more reactive in emotional reactivity in test participants who were sleep deprived. “It was as though, without sleep, our brain reverts to a primitive pattern of uncontrolled reactivity. We produce unmetered, inappropriate emotional reactions, and are unable to place events into a broader or considered context,” he writes. Walker says that further MRI scans showed that a full night’s sleep meant that the amygdala was more strictly coupled to the pre-frontal cortex, which acts an emotional brake on the amygdala, our “emotional gas pedal”. Walker, in Why We Sleep, also writes that the causal relationship between lack of sleep and depression may go both ways. “I firmly believe that sleep loss and mental illness is best described as a two-way street of interaction, with the flow of traffic being stronger in one direction or the other, depending on the disorder. I am not suggesting that all psychiatric conditions are caused by absent sleep. However, I am suggesting that sleep disruption remains a neglected factor contributing to the instigation and/or maintenance of numerous psychiatric illnesses, and has powerful diagnostic and therapeutic potential that we are yet to fully understand,” Walker writes. Lack of sleep can even lead to a decline in a person’s personal moral system, Barnes says, noting that this research was the building block into his investigation of the connection between lack of sleep and abusive supervision in the workplace. “The prefrontal cortex is heavily involved in self-regulation, especially what we would consider to be the exercise of self-control in a situation of temptation,” he says. “The prefrontal cortex suffers functional decrements when we are sleep deprived. We face many temptations in our daily lives, and are typically able to exert self-control in order to resist those temptations. But when we are sleep deprived, that ability to exert self-control is undermined, and we are more likely to cave to temptations,” Barnes says. 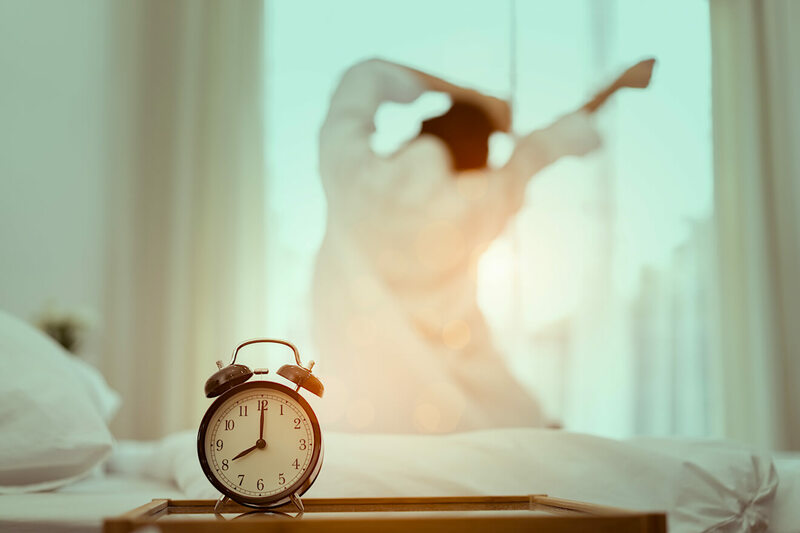 Sleep research could be a boon for mental health practitioners and patients, suggests Russell Foster, head of Oxford’s Sleep and Circadian Neuroscience Institute. “Sleep disruption is a very common feature of mental illness, yet despite its prevalence the clinical relevance is often overlooked, and even when recognized, treatment options are limited,” Foster says. “[The Oxford] study is immensely exciting as it not only provides strong evidence for a causal link between psychotic experiences and sleep disruption, but suggests a new therapeutic target for the treatment of psychosis and other mental illnesses,” Foster says.